Medium straw-gold color; yellow apple, bread yeast on mellow, restrained nose; green apple, lemon, almond, melon, bread yeast on the palate. Dry to off-dry; simple, straight-forward bubbly; light body; tart with excellent acidity; fine, precise mousse; minerality on mid-palate. Blend of pinot auxerrois, pinot blanc, chardonnay. 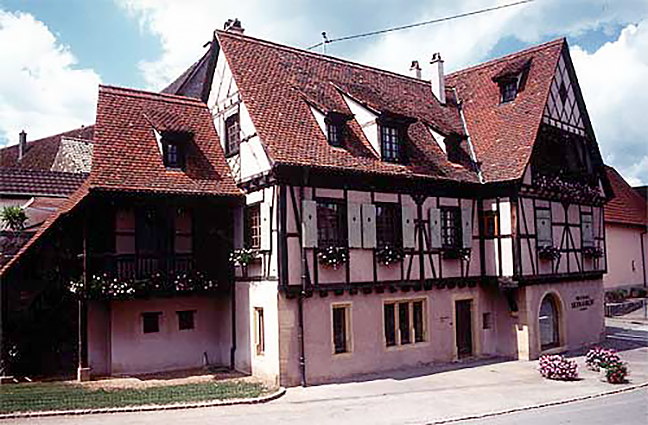 The Maison Lucien Albrecht origins date to 1698 when Balthazar Albrecht settled in Orschwihr, south of Colmar (Haut-Rhin—Alsace), a small Alsatian village in an ideal location for wine vines. 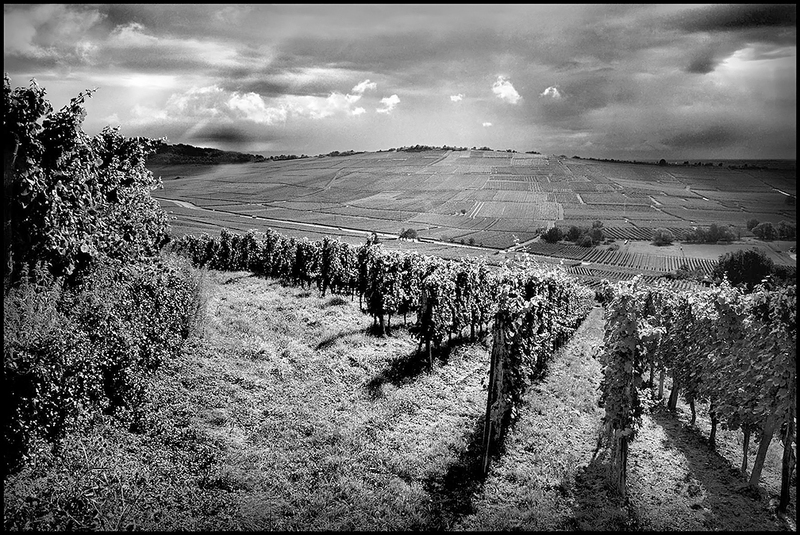 The family began cultivation of vines in the vicinity of Orschwihr in 1827. In the 1970s, Lucien Albrecht pioneered the emergence of Crémants d’Alsace. Crémant is the name for fine French sparkling wine made in the traditional method but not made in the Champagne region. 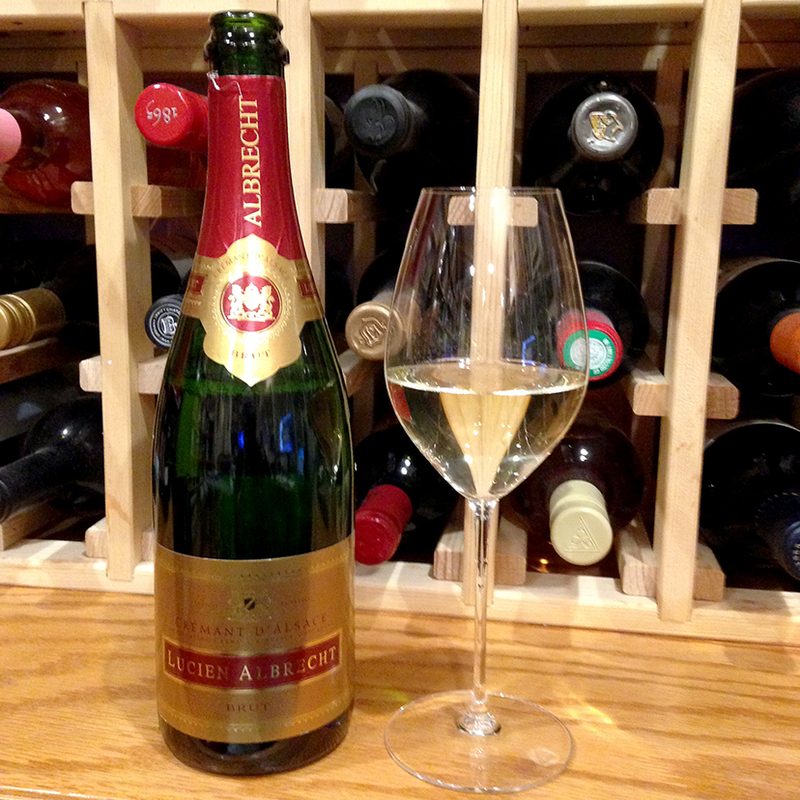 The effort paid off in 1976 with AOC Crémant d’Alsace designation of origin. 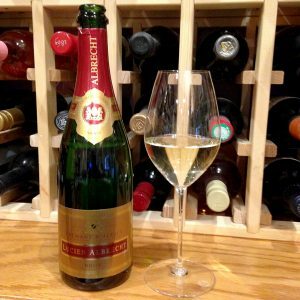 In 2012, the winery relaunched its Maison Lucien Albrecht label after the company shocked Alsace by filing for bankruptcy. The operation was taken over by the Wolfberger cooperative, an organization of grape growers. You won’t find anything about the bankruptcy on today’s Lucien Albrecht website. The Wolfberger website asserts it is: “the first brand of Alsace wines that celebrates, in 2017, its 115 years of expertise in the service of the Alsatian vineyards. More than a century of history and conquest, the Wolfberger story is the adventure of unified and always pioneering winemakers who have never stopped innovating.” Regardless of the ownership tumult, the land yields good grapes and the winery produces good wines.